Oliveira was performing on stage in Rio de Janeiro on Sunday when he suffered a heart attack. 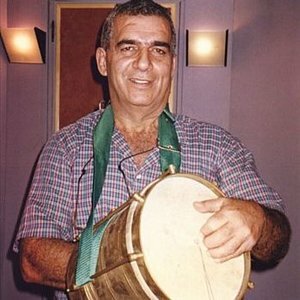 We are saddened to learn that former Chicago percussionist Laudir de Oliveira has passed away. We're grateful for the tremendous contributions he made to the music of Chicago and the enormous talent he shared with us, and with so many others. Our thoughts are with his family and friends. Rest in Peace. Born in Rio de Janeiro, Oliveira started out backing such artists as Sergio Mendes and Marcos Valle before moving to the U.S. in 1968. The first major hit on which he played was Joe Cocker's "Feelin' Alright", driving the song with his percussion playing. In 1973, Laudir was asked to play on the album Chicago VI, setting the course for the next decade of his career. Drummer Danny Seraphine said that their styles "fit together perfectly, creating a layered and full sound that reinforced the strong Latin influence that had been building in our music". Oliveira became a permanent member of Chicago in 1975 for the recording of Chicago VIII and played on every album through Chicago XIV (1980). He left the band in late 1981 when they moved to Warner Brothers and David Foster took over production. Laudir also worked as a sideman on the side including on such albums as the Jacksons' Destiny. After leaving Chicago, he kept doing studio work in Los Angeles until 1987 when he returned full time to Brazil. There, he became the Cultural Director of the Universidade do Grande Rio. Oliveira reunited with Chicago twice, in 2010 when they played in Rio de Janeiro and in 2016 after the group's induction into the Rock and Roll Hall of Fame.